Hamlet’s friends encounter a ghost. BernardoA soldier keeping watch on the battlements of Elsinore Castle in Denmark., HoratioPrince Hamlet’s close friend who has come to see if the soldiers' reports of a ghost are real., MarcellusA soldier keeping watch on the battlements of Elsinore Castle in Denmark. He is convinced that a ghost is haunting the castle., GhostA mysterious figure with the appearance of the recently-dead King of Denmark. Francisco is keeping watch at Elsinore castle. Bernardo arrives to relieve him of duty, and they remark on the quiet, cold night. Horatio and Marcellus enter and exchange greetings before Francisco leaves. Horatio wants to know if a ghost has reappeared tonight. Bernardo and Marcellus swear it’s real, although the ghost hasn’t shown up yet. Marcellus has brought Horatio along to see for himself. Sure enough, the ghost appears, but won’t say a word. 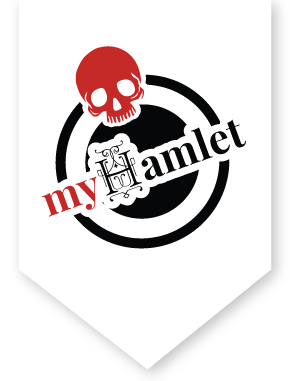 Since the ghost looks an awful lot like the recently deceased king, Horatio decides to tell Hamlet, the king’s son and Prince of Denmark, about the mysterious apparition. Maybe the ghost will speak to him.